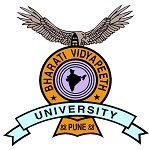 Bharati Vidyapeeth University is a Deemed university which will conduct the BVP CET 2018 examination. BVP Common Entrance Test is a gateway to the admission in various UG & PG courses offered by BVP and its affiliated institutions. BVP CET is a university level examination organized separately to get admission in the Engineering, Medical, Management and other courses. Here we are providing all the necessary details about BVP CET 2018 exam including eligibility, syllabus, exam pattern, etc. Candidates have to apply online for BVP CET 2018 entrance test. Candidates can fill the application form via online or offline mode through the website. Candidates are instructed to fill the form according to the courses they have opted. The fee payment can be done through online or offline mode (as applicable). The application fee will vary as per the courses opted by the students. Candidates have to pay the application fee either by DD or by net banking/credit card/debit card. Qualification Exam: qualifying/appearing the 12th or equivalent exam from recognized university. Subjects: Physics & Mathematics are the compulsory subjects along with optional subjects that are Chemistry, Biology, Biotechnology and Technical Vocational subjects. Percentage: Candidates have to obtain 45% (40% for SC/ST). Age: There is no provision of age limit. Qualification for MCA full-time: Candidate has to pass minimum 3 year Bachelor Degree in Mathematics at 10 + 2 level or at the graduate level. Qualification for MCA LE: Minimum 3 year duration Bachelor Degree in BCA, BCS, B. Sc (IT/Computer Science) with Mathematics as a course at 12th class or at the graduate level. Percentage: Candidates have to score 50% (40% in case of SC/ST) marks at the qualifying examination. Subjects: Mathematics is the subject in which candidate have to qualify the above exam. Age: There is no upper age limit to apply. Qualification: Candidates having Bachelor or Master degree can apply for the exam. Percentage: minimum 50% marks in aggregate (40% for SC/ST candidates). Qualification: Candidate must have passed MBBS examination from any recognized Medical College with 1 year compulsory rotating internship on or before 30 April, 2018. Percentage: Candidates seeking admission in PG Medical Programme, candidates have to be secure minimum of 50% marks (40% marks for SC/ST category) in the MEDPET 2018. Qualifying Exam: Candidate must qualify the BDS examination from any recognized Dental college. Internship: Candidate must complete the 1 year compulsory rotating internship on or before 31stMarch 2018. Percentage: Candidate has to secure minimum 50% marks (40% for SC/ST candidates) in the DENPET 2018. Type of Questions: The question paper will comprises of objective type questions. Duration: The question paper will be total 3 hours. The duration of MCA/MBA exam will be two and half hours. Language: The question will be published in English language only. Total Marks: There are total 200 questions. Marking: Each question will be awarded with 1 mark. Type of Question: There will be multiple choice questions asked in the examination. Section: For LLM, there will be two rounds, i.e. Entrance Exam and Group Discussion. The syllabus of the BVP CET examination will be different for all the courses. For engineering the syllabus comprises of Physics and Mathematics of Class. For BVP CET Medical, the syllabus will be consisting of the Physics, Chemistry and Biology of the Intermediate. Questions will be asked in the examination as per the courses opted by the candidates. To score well in the examination, candidates have to follow the best books and study materials. Candidates should have the knowledge about their complete exam syllabus. Mark the difficult topics and discuss them with your teachers & tutors. Question: Can I get admission in MBA courses through BVP CET examination? Question: How can I apply for the BVP CET 2018 examination? Question: What is the last date to submit the application form? Question: Is it necessary to send the application form to the authority? Question: What is the application fee? Question: Is application fee is refundable? Question: How can I make payment of application fee? Question: What is the eligibility for appearing in BVP CET Engineering? Question: What is the exam pattern for the BVP CET 2018 examination? Question: Is there any negative marking scheme? The BVP CET admit card will be released before one or two weeks from the examination. Candidates should note down it is necessary to bring their admit card in the examination hall. Candidates may also receive the admit card in the registered Email ID. The admit card will contain the necessary details of the candidate, exam centre, day of exam and subjects or subject code. The BVP CET 2018 result will be released after a few days of completion of the exam. A merit list will be maintained on the marks scored by the candidate in the entrance exam. The merit list will be considered for providing admission. Candidates can check the result via online mode through the website. The counselling schedule will be available in the website. On the basis of the merit list, the candidates will be called for the counselling process. The seat selection depends on the merit and availability of the seats. The counselling process will be started after the release of merit list. Candidates have to be present in person during the counselling. In document verification process, candidates have to bring their original documents along with the photocopies. After the process of seat allotment, students are needed to appear at the allotted college with required fees and documents. Metric and Intermediate Mark sheets & passing certificates. Passport size photographs with name on backside. For any other query about BVP CET 2018, you can leave your queries in the comment box.